Caffeine has a well-established effect on intraocular pressure (IOP) and ocular perfusion pressure (OPP); however, the possible differences between low- and high-caffeine consumers remain unknown. In this placebo-controlled, double-blind, and balanced crossover study, 40 healthy individuals were divided in low- (n = 21) and high (n = 19)-caffeine consumers, according to their daily caffeine consumption. All participants ingested either caffeine (4 mg/kg) or placebo, and IOP and OPP were measured after 30, 60, and 90 min of ingesting caffeine or placebo. Subjective feelings of arousal were also obtained. Caffeine induced an acute IOP rise (p < 0.001, ƞp2 = 0.408), whereas habitual caffeine demonstrated a mediating effect on the IOP changes induced by caffeine intake, with high-caffeine consumers showing a less accentuated IOP rise in comparison to low-caffeine consumers. The greatest IOP change induced by caffeine intake was reached after 90 min from capsule ingestion, being more accentuated for the low-caffeine consumers (+ 3.4 mmHg) than for the high-caffeine consumers (+ 1.2 mmHg). 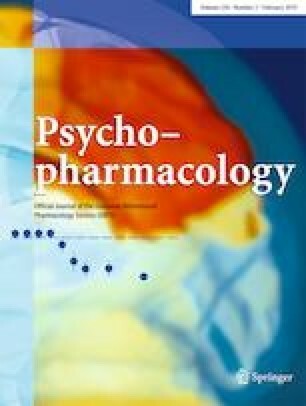 Consequently, the participants reported higher levels of perceived arousal after ingesting caffeine in comparison to placebo (p = 0.002, ƞp2 = 0.222); however, similar responses were given by high- and low-caffeine consumers (p = 0.256). Our data did not reveal any effect of caffeine consumption on OPP (p = 0.304). These results suggest that IOP responsiveness to caffeine ingestion is subject to tolerance, which could have important implication in the management of glaucoma. This finding may be due to alterations in the adenosine receptor system caused by chronic caffeine consumption. Future studies are needed to assess if these findings are also applicable to patients with glaucoma. The authors thank to all the participants who selflessly collaborated in this research. The experimental protocol followed the guidelines of the Declaration of Helsinki, and it was approved by the University of Granada Institutional Review Board (IRB approval, 438/CEIH/2017).